Our Children's Series is back! We are running Children’s Movie Series every Friday at 1 p.m. and Saturday at 10 a.m. for 8 consecutive weeks this summer! 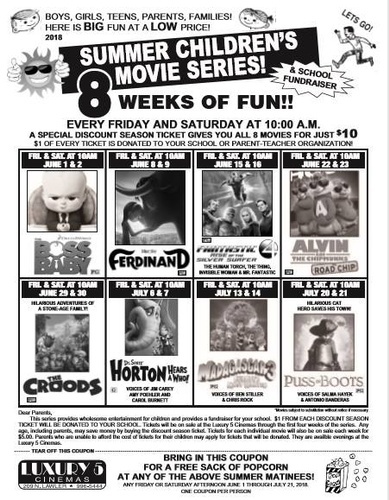 Tickets are $10 for the 8 weeks of movies.